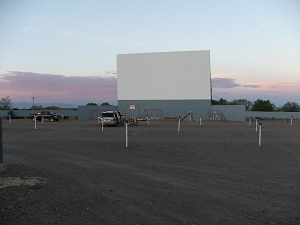 While in Monte Vista during the summer months, don’t miss seeing a movie at the Star Drive-In located two miles west on Highway 160, you can’t miss it! There are two big screens which allow you to have a choice in what movie to see. The movies start at dusk so be there early to get a great spot and make sure your car is positioned so you can see the screen. There is a snack bar open for that wonderful theater popcorn, fountain drinks, and a choice of candy. There is a playground for the children so they can burn off a little energy before the movie starts. Movies from your car or hotel room? 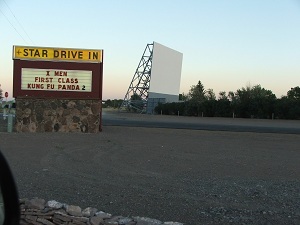 The Star Drive-In is very unique in that it offers two ways for viewers to enjoy their movie, from your car or the hotel. Watch a movie from your hotel room? 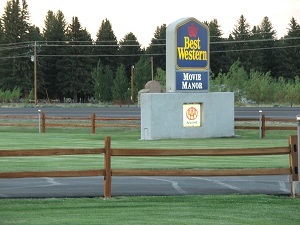 The Best Western Movie Manor Hotel is positioned so you can watch the movie from your hotel room. Wow! What a neat experience!! The hotel rooms are very nice and very reasonably priced. Many people enjoy taking a pickup truck, parking backwards, and enjoying the movie from lawn chairs in the pickup bed. There is also RV camping near the Movie Manor Restaurant. The Movie Manor Restaurant is worth seeing because of the movie memorabilia display and the food is great—I love their chicken fried steak. 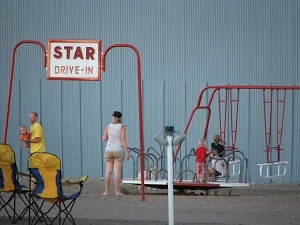 The Star Drive-In has been in Monte Vista since 1955. It is one of the oldest in the state of Colorado. We consider the Kelloff’s, who own the drive-in and also the Vali 3 Theatre, in downtown Monte Vista, to be good friends. The senior Kelloff’s are known for their great business sense in opening the drive in in 1955 and the indoor movie theatre, Vali 3 Theatre, in 1967. 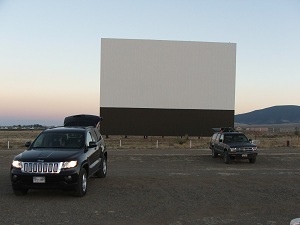 How many businessmen would have the insight to combine a drive-in with a motel? Mr. Kelloff was far ahead of his time in his business sense for the area. He is a well-known, well-loved, and respected man in the Monte Vista community. It is exciting that Mr. Kelloff’s legacy of the movie theater business is being handed down to his son and daughter and even a third generation with their grandchildren also becoming involved in the family businesses. We encourage you to watch a movie from your car or the hotel. It is such nostalgic part of our American history since there are so few of them left anymore. Enjoy your movie and tell the Kelloff Family that Kaylie and Debbie sent you! !